Apparently this is the wettest March in Nice on record. I am not surprised its rained most days and on some i just haven't even bothered to leave my hostel. But i had to brave the wet at some point so i decided to visit the town of Grasse. I have visited Grasse once before, and loved it. Hence i was keen to go back. The photo below was from my first visit, last year. This picture is what should have greeted me. Grasse is a old industrial town north of Cannes, its industry is very much centered on the perfume industry. The town itself is very run down, with many abandoned and neglected buildings. Most of the modern day perfumeries are build out of town in more modern industrial units. But it is the neglected look which gives Grasse its character and charm, and what bought me back here. Even in the heavy rain, as soon as i stepped of the bus i could smell the scented air. The Grasse that greeted me this time though was a very different experience to last time. Nearly all the streets were completely empty, as most tourist took the day to relax in their hotel lounges, and as at times i was sometimes wading ankle deep in water, i was thinking they had the right idea. I could not quite work out why it was thought it was necessary to hose the streets down in heavy rain!? The Notre Dame du Puy, Cathedral was a welcome break from the wet. Its tower shrouded in mist, just to highlight how bad a day it was, there was going to be no panoramas of the surrounding countryside today. Inside the cathedral their are paintings by several famous painters including the local painter Fragonard. I wandered the wet streets until my jeans were so wet that i was struggling to move and then headed into a couple of perfumeries to start sniff testing. My favorite has to be the Fragonard factory just on the edge of the old town. They have a small free museum and guided tours, when i visited this time around, the factory part was closed for refurbishment, and was due to open again in a couple of days. You can still sniff test all their products in the factory shop. I spend most of my time in the Musee International de la Perfumerie (5 euro), drying off. 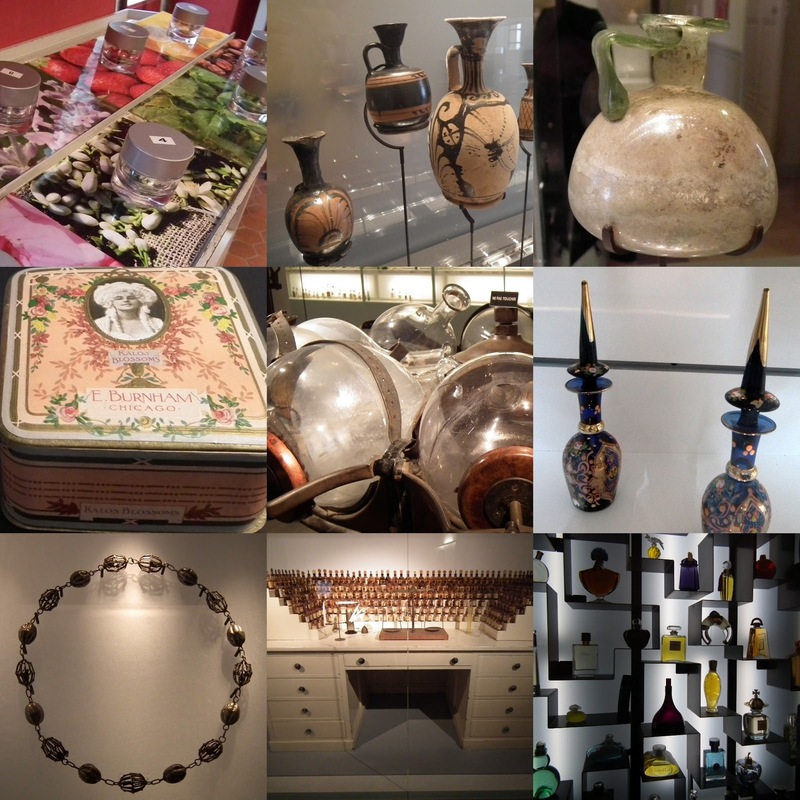 It was a good museum, filled with thousands of perfume bottle, both ancient and modern. There is plenty of opportunity to get your nose buds out, with smells from roses, jasmine, nutmeg to cocaine and marijuana. They do guided visits and also a free audio-guild. The audio-guild was not automatically given out and i only found out about it because of a sign in French. Usually i love audio-guilds, but would not recommend this one as i found it a bit, basic and also confusing, as to when i was supposed to press the buttons. The journey back to Nice on the Bus was amazing. Once we were below the worst of the clouds, I got amazing glimpses of the surrounding countryside half enveloped in mist. Unfortunately the bus driver speed pass too quickly for me to get a decent shot on my camera. Very good photos despite the weather...check out the Travel section of this Sundays NY Times. Article title: Get to Know a City the Old Way - One Step at a Time. they have a nice, albeit "Dry" picture of Grasse.